This is an informal history of the musical heritage of southern Louisiana starting with the earliest jazz pioneers. Start the pot simmering with jazz and delta blues. Season with spicy dollops of zydeco, Cajun, and gospel. Then bring to a rolling boil with soul, rhythm and blues, and rock 'n' roll. It's a recipe for musical delight that could only be cooked up in New Orleans. 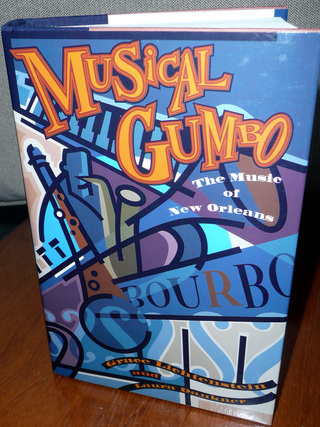 A perennial source of innovation and hits since the beginning of the 20th century, the Big Easy has enjoyed even greater musical success in recent years and this is the first authoritative guide to its music and legendary musicians from Louis Armstrong to Fats Domino to the Marsalis family.